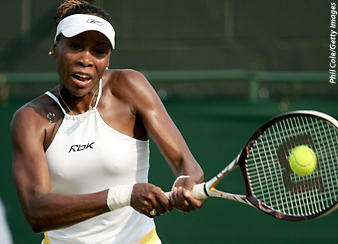 Venus Williams has withdrawn from the 2006 JPMorgan Chase Open presented by Herbalife, due to an ongoing left wrist injury that has sidelined the champion since Wimbledon. "I regret not having the opportunity to compete in Los Angeles where so many of my friends and fans live,” said Williams. “I am in the process of getting treatment and hope to be back on Tour in the very near future." Williams, currently ranked No. 32 on the Sony Ericsson WTA Tour, also had to withdraw from the Acura Classic, currently being played at the LaCosta Resort and Spa.